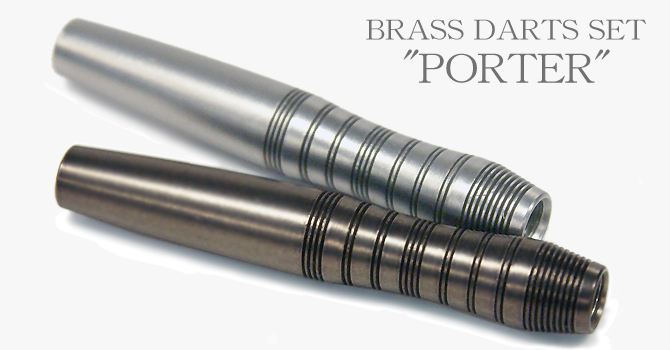 Unlike tungsten, brass material allows for a sudden change in angle. 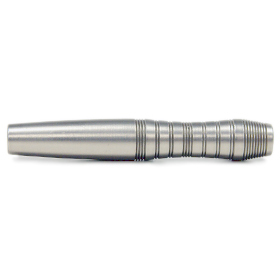 This tapered design makes for an easy throw. 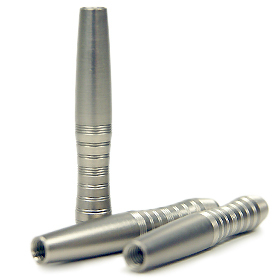 Additionally, the curve within the tapered portion avoids the loss of force when releasing the dart. 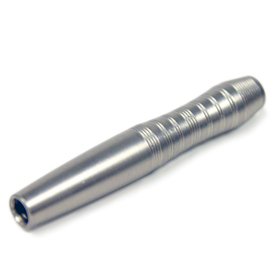 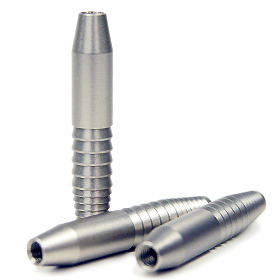 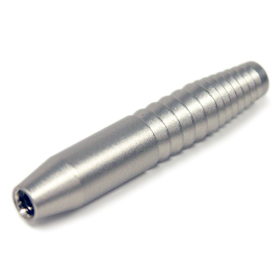 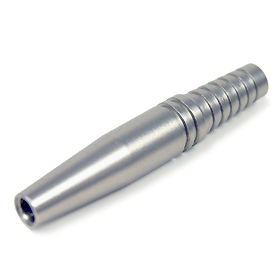 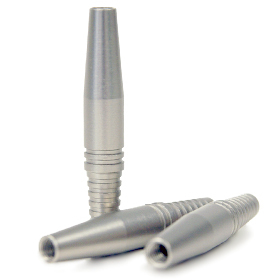 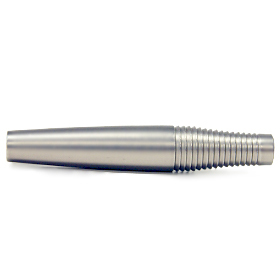 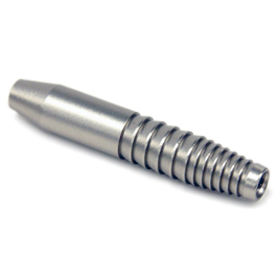 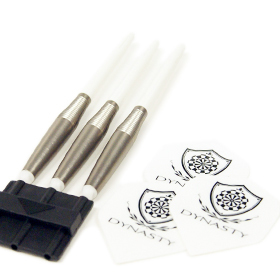 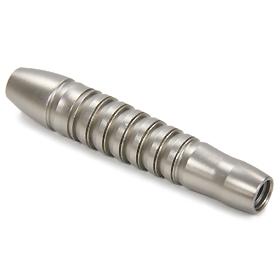 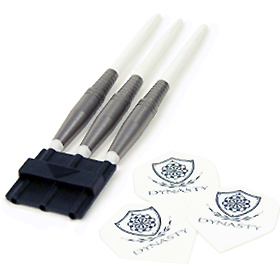 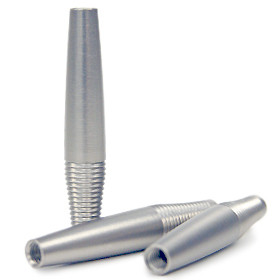 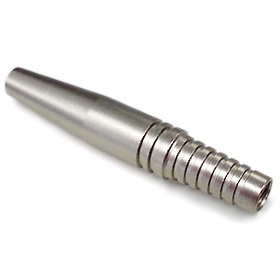 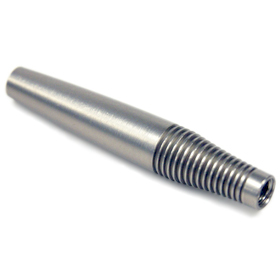 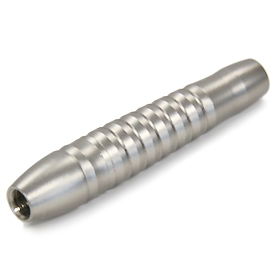 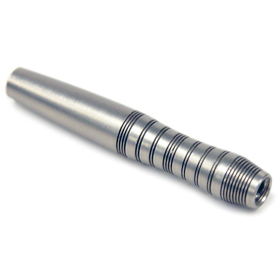 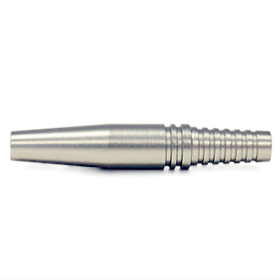 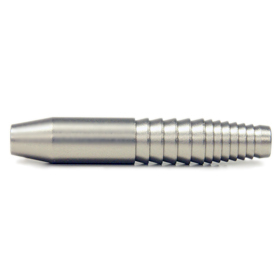 This dart is designed with an angled tapering from a maximum diameter of 8.4mm, eliminating the loss of force transferred to the dart during the release. 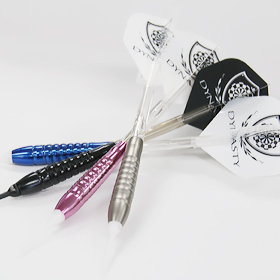 The grade break located at the back portion of the center of the dart allows for a more stable grip which in turn brings more control to each throw. 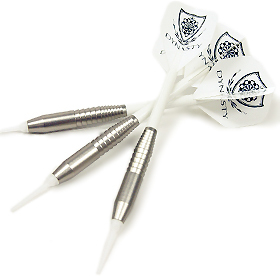 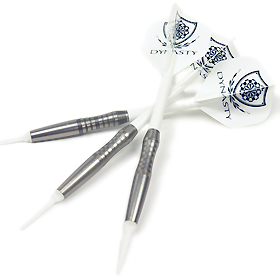 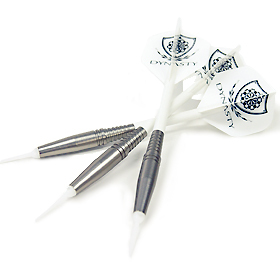 Designed with a curve at same location where the main cuts are located, this dart will allow with a constant stable grip during each throw. 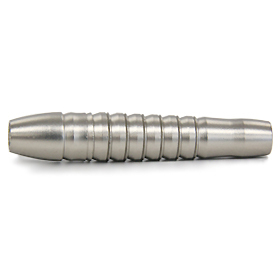 This design is between a straight barrel and a torpedo shape. 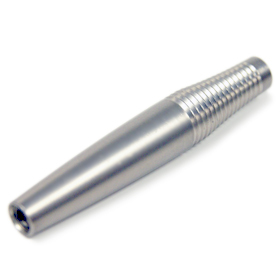 This design successfully takes the main aspects of the Gold Line "ZIMMER" which are the easy release and the high controllability of the dart. 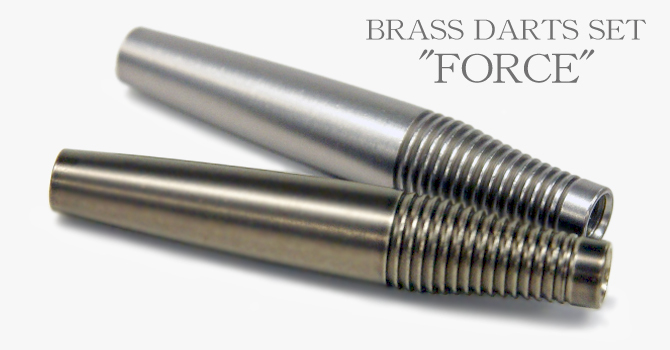 This dart gives a glimpse of the ZIMMER but in brass version. 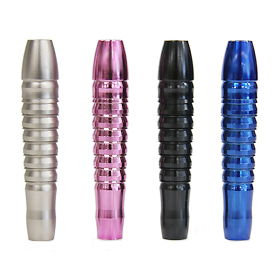 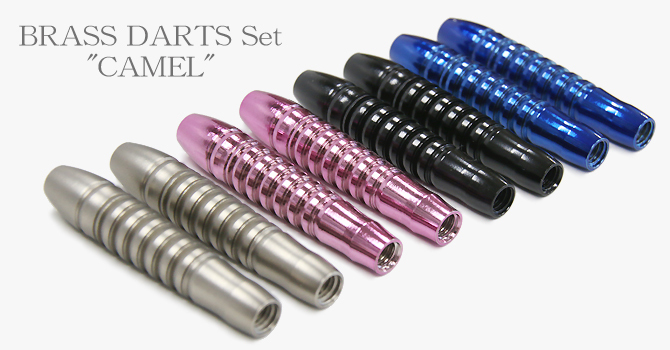 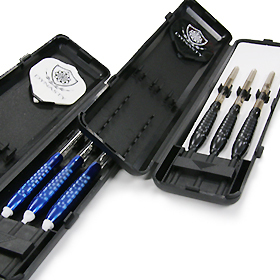 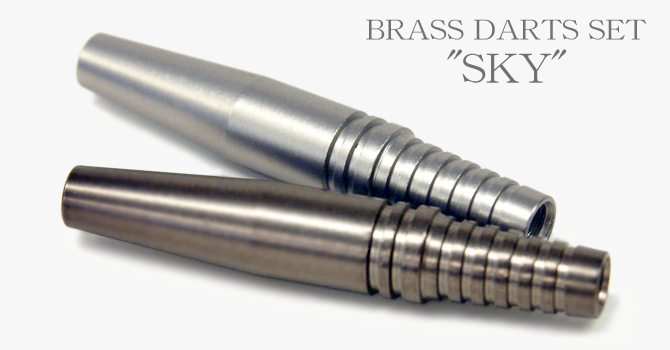 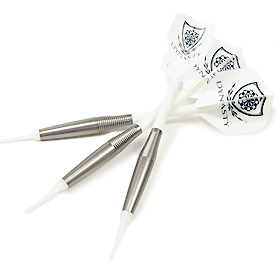 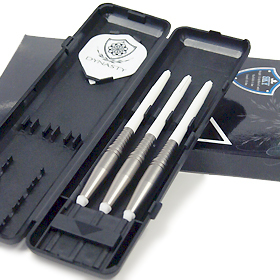 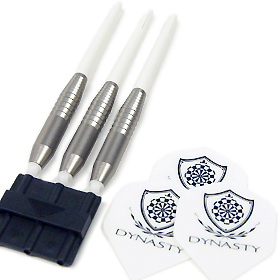 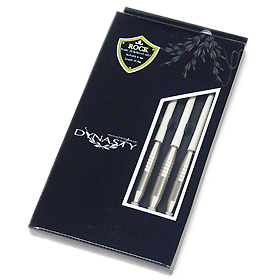 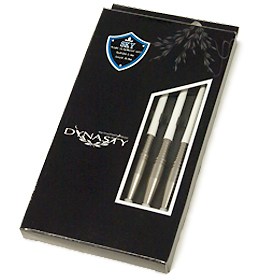 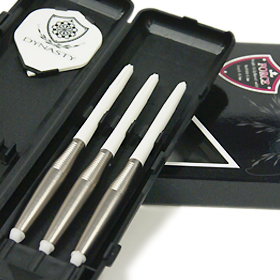 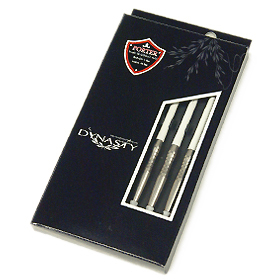 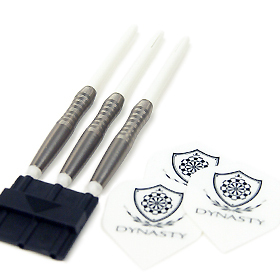 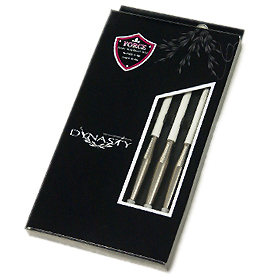 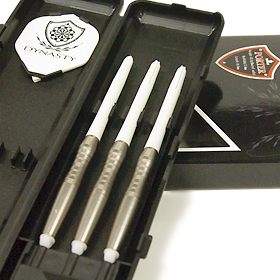 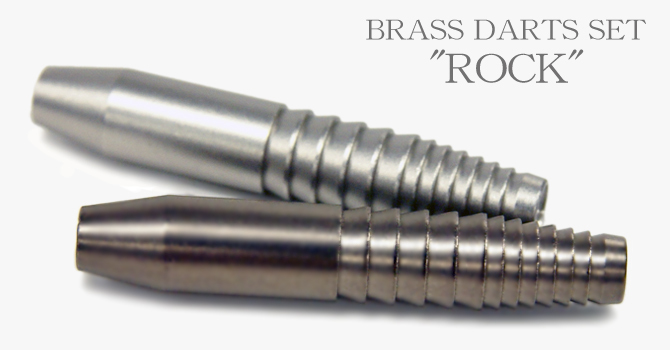 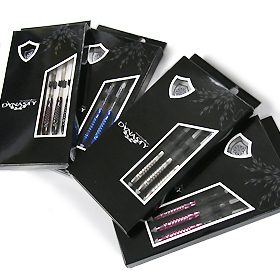 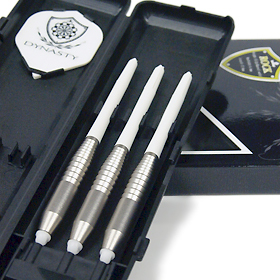 New vivid colors of high quality brass darts set.